The CR805 ribbon is designed specifically for the CR805 retransfer card printer. 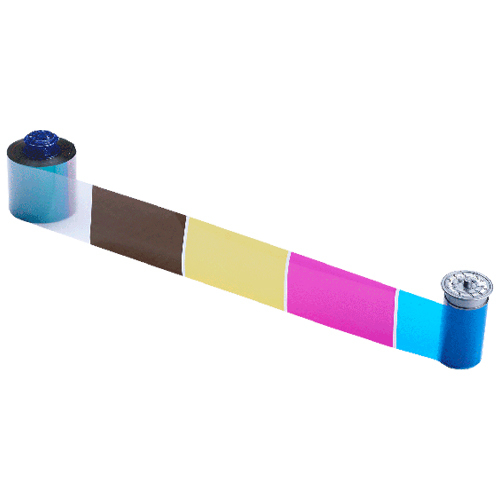 Entrust Datacard™ CR805™ CMYKP Color Ribbon​ card printer ribbon kits include all necessary cleaning supplies for the CR805 card printer’s daily operations. Each kit includes one ribbon, one isopropanol cleaning card and one adhesive cleaning sleeve.1,000 Simplex Prints & 500 Duplex Prints.